Our friends have a profound effect on our personal finance habits. Some friends can lead us to spending and to debt. Others offer insight into the virtues of thrift. For me, my friend Sparky has been the latter. Through his example, I learned that frugality can help me achieve my goals. After my friend Sparky graduated from college, he drifted. He couldn't hold a steady job, and he didn't stay in one place for long. He traveled to Mexico. He moved to New England. He lived in various cities in Oregon and Washington. “I don't know how you can do it,” he told me once when he saw our new house. “You have a home and a wife and the same job you had five years ago. I'd hate that.” He lived as a First World nomad. I visited Sparky once in early 1996. I stayed overnight at his apartment in Eugene while I played in a nearby chess tournament. I was amazed by his Spartan lifestyle. He had no television. He had few books and little furniture. Most of what he owned had been purchased second-hand. His refrigerator was almost completely empty. (In my memory, it contained only two items: a carton of milk and a bottle of ketchup.) Sparky's only indulgence seemed to be a collection of bootleg U2 CDs. I didn't know what he meant at the time. To me, life was all about the Stuff. I had hundreds of CDs and thousands of books. I had a TV, a stereo, a house, and a car. I wanted more. Sparky had none of these, but he had something I did not. Sparky had freedom. His frugal lifestyle allowed him to save and invest. I marveled at how he squirreled away his money. I didn't understand how he managed it. I made at least twice what he did, but he had money in the bank and I had none. Instead, I had $20,000 in debt and was taking on more every day. For some reason, I could not see the connection between Sparky's thrifty lifestyle and his financial success. I could not see the connection between my own profligate ways and my mounting debt. I was blind. During the summer of 1997, Sparky and I went for a hike. As we walked, we talked. He told me about his plans and his goals. He was living in a small town in northern Washington, working two full-time jobs, a part-time job, and getting free rent in exchange for housesitting with an elderly homeowner. “I've only had five or six days off in the past eight months,” he said. “Maybe I will,” he said. And then he added, “Do you want to come with me?” Of course I did, but I couldn't. I was in debt. I had no savings. I couldn't afford to drop out of Real Life for five months. How would I pay for all of my Stuff? Sparky went on his trip. He backpacked across the world alone, and he loved it. He sent me postcards from stops along the way: from Thailand and India, from Nepal and Israel and Jordan and Egypt. He was gone for five months. Because he was not burdened by Stuff, he returned to a financial position similar to the one he had left. He didn't have a mortgage or other debt. His savings and investments were still intact. He had lived for five months without an income, it's true, but he'd spent exactly what he budgeted, and he'd had the experience of a lifetime. When Sparky got back, he settled down to a more normal way of life. He got a real job. He even bought a house. Still he continued to pinch his pennies, spending only on the things that really mattered to him. Eventually, I began to see the connection between his lifestyle and his quiet wealth. Whereas I had once viewed Sparky's ascetic lifestyle as a little strange, I began to understand it as a means to an end. Perhaps I couldn't be as frugal as he was, but I could still learn from some of his lessons. We had some great conversations about money and about goals and about the future. I looked forward to learning more from him. Sparky died unexpectedly last week. We had been close friends for 25 years, and he was an important part of my life. He challenged me. He believed in me more than I believe in myself. I cannot say that Sparky was without fault. Like anyone, he had his quirks. But on the whole, he was a positive influence in my life, and when it came to money, he was a shining example of how to live right. I'll never have the chance to learn from him again. Please, my friends, always remember that true wealth has nothing to do with money. True wealth is built from friends and family, from experiences and relationships — it is derived from a life filled with meaning. Without these things, money means nothing. Do me a favor this week, and spend some time with the people you love. 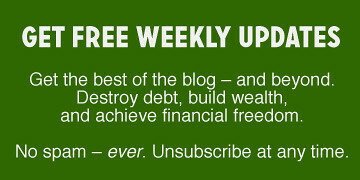 There are 161 reader responses to "The Razor’s Edge: Lessons in True Wealth". So sorry to hear about Sparky’s passing. We will be thinking about you this week. I’m so sorry. For some reason, it’s especially sad when a good friend dies. My sympathy goes out to you as you mourn your friend. I’m also sorry that he passed away. But it sounds like he lived his life to the fullest! As for his Spartan lifestyle, it’s what BF and I would like to aspire to, so my goal is to fit everything into 2 suitcases and 2 carry ons. We don’t want to travel, but we want less stuff in general, and we’re not buying any furniture except for a table and chairs when we move.. I am sorry to hear about your friend. But that was a nice post about him. 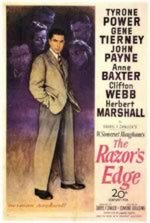 The Razor’s Edge was a book my Dad gave to me when I was in college and subsequently lent to my boyfriend who while backpacking in Europe got robbed of everything but the book! (He’d fallen asleep with it at the train station). He said that that book helped him find his way back to Siena where I was staying with my Dad at the time. Short of it, that book means a lot to me and I’m glad that it means a lot to others too. Thanks! My heart sank when I read that Sparky had passed. He sounds like he was a great friend and I have no doubt he will be missed by all who knew him. I can’t say I aspire to live exactly as he did, but I do hope to fill as much time as I can with happiness and meaning, just as he did. Very sorry to hear about your friend. You’ll be in my thoughts this week. my condolences to you and sparky’s family. Very inspiring story and one that seems to aligned closely to what i realise this few months about possessions and attachment. I’m Sorry to for your loss. Sparky sounds amazing. I have only been reading your blog for a few months – I would like to read some of Sparky’s guest posts. New reader and love what you do. Sorry for your loss. My family’s prayers are with you and yours. I’m terribly sorry to hear of your friend Sparky’s passing. What an incredibly inspirational and amazing person – he really lived, didn’t he? I am not surprised he was so dear to you. Take care of yourself, won’t you? I’m very sorry you lost your friend – this post was a great way to remember him and help show his example. I wish you all the strength, as well to his relatives and friends. With the eye on the financial part of your blog, I think your story underlines how true happiness can only be found in other people and experiences, and not in stuff. Very inspiring! I am sorry for your loss. My thoughts and prayers go out to you and Sparky’s family. Thanks for the great post. What a nice tribute to your friend. Peace. J.D. sorry to hear about your friend. We all appreciate your openness and honesty in your blog, and like you say, true wealth is built on solid relationships. It’s very difficult to lose a friend. My thoughts are with you… How wonderful that he lived his life to the fullest and that you are able to share his lessons with us. I’m grateful for that. Marvelous post. Well written, engaging and poignant. My condolences; thanks for sharing. I’m so sorry to hear about Sparky’s passing. I know there is nothing that anyone can say to make it better for you, but please know you will be in my prayers. Thank you for all YOU do and for this reminder. I am very sorry for the loss of your friend. although I have my share of material possessions, I still have plans to see the rest of the world (only 18 countries down and whole lot more to go)! Oh my goodness… I read this post so enthusiastically and am now so sad to hear of Sparky’s passing. I AM SO SORRY! I know you are devastated and I hope you can find some peace & comfort as you go thru the next several weeks dealing w/your loss. I want you to know that YOU GOT TO ME. And Sparky got thru to me! I have a fantasy of living in a mobile home traveling around w/out a care in the world “someday.” My husband thinks I’m nuts but I am going to do this w/ or w/o him when it’s time. Sell the house & everything in it, then just GO. See where we land. With cell phones, online banking, the internet & satellite who needs a permanent address? Aside from “stuff debt,” the only thing stopping us in our 10-year old. But in 8 years when he’s college bound??? His mama is on the road! Thanks so much for sharing Sparky w/us and thanks for this great eye-opening blog. Thank you for sharing your friend with us. Taking the time to grieve is an important way to honor one’s loved ones. Thank you for a beautifully written and thought provoking piece. I’m sorry for your loss. I hope you find some comfort in the fact that his life will inspire others. What a lovely tribute to your friend, Sparky. Even though he’s no longer here to advise and consult with, I am sure that his memory will still keep inspiring you in the future. It’s certainly inspiring to me. People often ask what one’s greatest fear is … mine is always not living life to its fullest. Sparky certainly did that. My sincere condolences to you, J.D. Thanks so much for sharing his story with us. I am so sorry for your loss. My thoughts and prayers are with you as you continue this journey without your friend. So sorry for your loss. It sounds like Sparky lived without regrets. That is a powerful lesson to have as a friend. My condolences. One who impacts our lives so deeply will continue to live on through us. J.D., I’m sorry to hear you lost your friend. It sounds like he taught you a lot, and you had a close relationship. I wish more people realized, like Sparky, that true wealth and happiness has nothing to do with your net worth. It’s why I write so much about contentment. It really is the key to finding joy in life. As you collect the stories, you’ll be getting contact information from the people who cared for your friend. There is rarely a week that goes by that I’m not teaching my readers that LIFE IS ABOUT RELATIONSHIPS…. Money is simply a way to facilitate relationships through giving, helping and blessing others. The ONLY thing you can take with you to your deathbed, and to the next life is RELATIONSHIPS. My daughter is probably going to DIE this month (I have seven kids, she has Leukemia) and my relationship with her will be the only thing that remains. J.D., this was an excellent post. Thank you so much for writing it and sharing your friend. I’ll be sure to contact my loved ones this week. We’ll miss you this week. Best of luck. I’m sorry for your loss. I appreciate your blog and your willingness to share. Condolences on Sparky’s passing, J.D. “True wealth is built from friends and family, from experiences and relationships – it is derived from a life filled with meaning.” Thank you for those inspiring words, JD. Please accept my deepest sympathies on the loss of your beloved friend. He sounds like a person who had no regrets and lived life to the fullest. I’m sorry to hear about your friend. I hope he receives the perfect goodbye that he deserves. Thanks for sharing the story of your friendship. I will hope for peace for all of Sparky’s friends and family. My deep condolences at the passing of such an inspiring friend. Thanks for sharing him and his wisdom with us. Your loss is thus ours. I am so sorry for your loss. Thank you for sharing this. I think we can all learn a lot from Sparky. From my own personal experience, I found that the best way to break attachments to material things is to move to a foreign country. You soon realize that you can get by on whatever can fit in a couple of bags. Everything else is extraneous and is probably interfering with really experiencing life. It takes far more self-discipline and mental courage to abstain from consumerism and choose your own path, then it does to blindly follow all your neighbors to the shopping mall. Sparky was a philosopher in the truest sense. I wish I had known him. I’m sorry you lost your friend. He sounds like a wonderful person. Reminds me of that other very insightful frugal person, Joe Dominguez, who died at 59 of cancer (lymphoma). Finance isn’t the only key element for a pleasant future, health is too. I am so sorry to hear about the loss of your friend. I honestly believe that most of the good I produce is a direct result of the amazing friends I have made. If it’s any consolation, I’ve been letting negativity ruin my efforts lately, and Sparky’s story completely inspired me to fight through it and remember what’s important as I read it just now. I never met him, but both he (and you) will be in my thoughts. I am very sorry for your loss, J.D. Your post was quite moving. Take care. Oh, I’m saddened to hear that you lost a good friend. I hope you take the time you need to let your heart grieve and recover from the death. I feel that you will keep your friend’s memory alive through your efforts to live frugally and share that lifestyle with others. Thank you for reminding everyone that amounts of money accumulated is paltry compared to the wealth that good friendships and relationships offer! It’s easy to loose sight of that fundamental truth when you live in a stuff-centric culture. I am sending you and your wife many thoughts and prayers of comfort and healing during this time. I’m sorry to hear that Sparky passed away. It sounds like he lived a life full of friendships and wonderful experiences. So sorry about the loss of your friend. What a lovely tribute to an important person in your life. My thoughts and prayers are with you. JD, I am very sorry for your loss. Thank you for reminding us what is most important. @Brent Riggs #29 – I’m very sorry to hear about your daughter. My heart goes out to you. I truly am happy that he did fulfill what he was supposed to do, which was to reach out to you and everyone who heard his desire for happiness. I, for one, will continue to question if I need so much “stuff,” and that’s the greatest gift he gave me today by reading his story, for which I’m thankful for. An excellent post, about an important topic, stuff or really consumerism. Here is the skinny in a nutshell. While we can detect even the slightest differences in human beings, we all recognize the inherent sameness between people. Few of us become chiefs, our senators, rock stars or any other real singularity. So we crave to differentiate ourselves from others. Whether that be by tattoos, behavior or possessions. For many people the easiest way is by accumulating things, buying things. Its fast/instantaneous and aside from the cash, it doesn’t take work (say like the lifetime of risky training to become an athlete). So for $5 at starbucks you get a whole variety of identities, or collecting comic books, or buying a new car etc etc. It is all a feeble attempt to alleviate the alienation of basically being one of 7 billion. Not ONE. The key to freedom is to accept that you are only one in 7 billion, and no amount of stuff will change that. And that your particular life experience is much more than a car, a cell phone or texting. All of those things are what you own, not who you are. Thank you for sharing this story with me. None of us know when our time will be up – how great to know that we have lived, until that day, exactly how we wanted to. Sparky seems to have done just that. I am deeply sorry for your loss and thank you for a very powerful post. I am so sorry for your loss. Thank you for sharing this story with us. We all need to find out voice, the one that speaks out above the stuff and the noise and it seems your friend found that early.. Good for him! My condolences for the loss of your friend, J.D. This post, and the previous one about your ethical dilemma, have really shone. Keep tapping into that personal fire. It brings out the best in you. I’m so sorry for your loss. I can’t imagine how you must be feeling. This is one of those story that touches the heart of all who have long time friends that have influenced their life. I am sorry for your lose but thankful you shared this post with us. Sparky sounds like a man who lived his life truly in line with who he was on the inside. I’m so sorry for your loss. My condolences for your loss. Your friend Sparky sounds like a good man. I am sorry for you loss. I loved the post. I love the idea of a lifestyle like that. I try to have as little stuff as possible, I would like to be free from attachments. I don’t plan on owning a big house for a long time. I want to try to be as nomadic as possible for the beginning of my life. WOW!!! I chewed through this without breathing it is so well written and powerful. Sparky may be gone, but know this: he left YOU his legacy. He may not have left fortunes and wills as most do but he left you his most prized possession. Are you aware of that? He left you his freedom. His soul. His wisdom. From reading this one can easily tell that they are such a part of you. Make sure at some point in your life that you take time to live what Sparky gave you…if even for a time. It was chosen and given to YOU. And he is still speaking to you. Thank you for sharing his wisdom with us, a wisdom that is now yours. It is the greatest gift we can give anyone….freedom. Freedom of thought, movement, spirit and soul. I just wanted to also give my condolences for the loss of your friend. I’m so sorry to read this. I am also very sorry for your loss. I can really feel how important Sparky was and is to you. Thanks for sharing. I agree completely. “Stuff” is what costs us a full life many times. At least the blind pursuit of stuff and the money that buys it. My experience tells me your are right on. Money is a small component of what makes up a full life – a very small component of it. Sorry for your loss. My thoughts and prayers go to Sparky’s friends and family. I’m very sorry for your loss, JD, athough glad to read that your friend took the chance to live his life to the fullest and in line with what he valued. FWIW this was a wonderful engaging post about Sparky – I’m sure he would have liked it. The last line was a good reminder as to what I should be doing this week, as I’m heading back to my home country for a brief trip. Don’t worry about the blog and the guest posts, take some time off. We’ll be here when you get back. I’m sorry for your loss. Heaven has gained a great person I’m sure! Great post about what is really important; family, friends and those things that are simple yet special…You’ll be in our thoughts this week! Sorry about your loss, JD. You should be glad you got to know Sparky. I’m so sorry for your loss JD. Sparky sounded like a great guy and it’s lovely to read about someone who lived their life so well, really inspirational. Thank you for sharing with us. the loss of a friend is heart-wrenching. All we have is each other. Thank you for the reminder of what life is all about. I, too, am sorry you have lost a dear friend. Based on what you’ve told us about Sparky, I can’t imagine a more fitting tribute than this post. It’s extraordinarily well done and yet your sadness comes through as well. Thanks for sharing Sparky and his message with us. There’s a continuum of material attachment from the very low attachment of your late friend, to the other extreme – where people are so caught up with stuff that they define their identity by it. For most of it, it’s a middle ground of trying to edit our possessions so we own them and they don’t own us, but it’s a challenge. Nothing wrong with beautiful, useful things that add to your quality of life if you can manage it. The great part about your friend’s life is that trip. He really lived. He didn’t defer his dreams, he made them happen! So he really lived. Most people are not imaginative or disciplined enough to even have a big dream, let alone pull it off, so what a great role model he is! JD: You really have a gift to be able to write so powerfully. We all feel like we knew Sparky. You made us all understand how your understanding of him grew over time. So sorry for your loss J.D., but what a legacy he left you. Those memories are priceless. Very sorry for your loss, and glad Sparky made his dream come true. Thanks, everyone, for your thoughts and kind words. I just spent the afternoon with Sparky’s parents and our friend Stew, discussing his memorial service. It was a difficult thing, but also cathartic. It really does look as if I’m going to be scarce around here for the next week or so. I’ll do my best to use a guest post every day, though. Thanks for being understanding. I visit your site often, but this is the first comment I’ve made. Thank you so much for sharing this story. There is soooo much to learn from your friend Sparky’s life. I admire his wisdom and I know that you are probably a better person by knowing him. Be blessed! Condolences on your loss. Truly a post, and a life, full of lessons. That quote at the beginning is so powerful. This is a great article, very well done. Thank you for sharing your friendship with Sparky. He now travel to another world taking with him his favourite things “freedom,love & memories” he had from this life. I’m so sorry for your loss; and thank you for sharing with us what you learned from Sparky. Take care this week. What a wonderful tribute to your friend. I’m sorry your friend died, J.D. What a great sorrow. Your links to Sparky-inspired stories show how he was an important part of your life. We live on inside the ones who loved us, and they hand us on to others. Your words will keep his flame alive for a long time. I’m so sorry for the loss of your friend. He sounds like someone I would have liked to have known. I have several friends from college who I’d consider “first world nomads” as you put it, but they came from wealth and so don’t have the refreshing perspective Sparky shared with you. Friendship is the most valuable commodity we have in this world. I lost my best friend last year, and I understand the anguish at these moments. I had the opportunity to say goodbye but there is never enough time to say everything you want to say to the people who matter most in your life. Sparky influenced another soul today as I read and envied is life. Some more of my stuff will go to charity in his honor. I’m so sorry for the loss of your friend. He sounds like one of those people who is too good for this world, he saw beyond what everyone else sees. I believe he is in a place now where he can travel & experience to his hearts content….free of earth’s limits. Sorry to hear of Sparky’s passing. He sounds amazing. Take care. It seems your friend lived a good life and was true to his Spirit. Thank you for sharing his story with us. It makes me think I need to get back on the road again… Even when I start to think your blog has nothing new to offer, something like this comes up and it shakes me to the bone. I’m sorry your friend passed away. But I’m glad his passing and your sharing will help us all live better and more honest lives. My deepest condolences, JD! Thank you for sharing such a beautiful post with us. J.D., I’m so sorry for your loss! It’s never easy to lose those who are closest to us and I can only guess at the feelings you must have right now. It sounds as though Sparky lived a good life, experienced the world and did so on his own terms. His contributions to you and to countless others will be remembered in the lessons we share with one another, and so, in a way, he lives on. We can’t ask for much more in life. I’ll be keeping you and your family in my thoughts and prayers this week. I hope you are well and look forward to reading your next post! Sorry to read this news JD. I hope that the memorial service provides comfort to all of Sparky’s friends and family. I’m really sorry for the loss of your friend. This article really spoke to me because it’s exactly what I’m trying to do. I’m on the cusp of a major life transition (getting out of the Air Force next year) and am hoping to travel for a few months then. I’m currently deployed to Afghanistan and the extra income here is allowing me to pay off all my debt except my mortgage (but the house is rented out) and save enough for a couple months of travel. I really enjoyed the read! We are sorry for your loss. This is a wonderful tribute to your friend. My condolences to you, JD. A very unfortunate reminder to see the true goal of wealth, being able to enjoy our lives, family, and friends. Thank you JD, and again, deeply sorry to hear of your loss of a good friend and great influence. I’m so sorry for your loss, J.D. Take the time you need. I’m sure you’re a comfort to Sparky’s family right now – your post conveyed well just how valuable his friendship, insight and life experience were to you. Thank you for sharing this – and for reminding us of the importance of truly LIVING. You’ll always carry the wealth of Sparky’s friendship on, in your heart. And, his Legacy is carrying on – through you. Thank you for sharing this – as I am seeking the lifestyle that Sparky modeled for us. I’m seeking to simplify – and detach from so many of my possessions. I’m seeking to live life presently and spontaneously – because I’ve been diligent and have planned in a way that allows that spontaneity. Aaaand, I find myself hoping that there’s more people like me – like Sparky – like you. I’m exploring this life – as he did. And, I’m inspired by the story you’ve shared with us. It seems sad to me that our plan (no debt except for mortgage debt) is thought to be, by our friends and coworkers, very odd, abnormal, weird, etc. But as the financial market has fallen apart we have more friends who are more interested in hearing about how we paid off our debt, how we save, how we live without credit cards, etc. Please accept my sympathy on the loss of your friend. Isn’t it amazing he followed his dreams while he was young? Sorry about the loss of your friend. What a beautiful post you wrote. A reminder to all of us that it’s the life we live and the memories we make with the people we care about that are most important, not possessions and money. My deepest condolences on your loss. Thank you for sharing such an inspirational story and person with us and helping us to keep the proper perspective on the truly important things in life. Sparky’s friends and family will be in my thoughts and prayers. Thank you for the beautiful tribute. Now all of us have a chance to learn something from this enlightened human being. The stars that burn out the fastest are the ones that shined the brightest. What joy that he lived his dream when he wanted, instead of waiting for the someday that never comes. We all have the opportunity to be his legacy. Thank you JD! You do great honor to your dear friend. Wow, congratulations for having a friend like that! It sounds like he really added to the quality of your life too. I had a good friend pass away during my first year overseas. His memorial was a marvelous experience. We spent the whole time looking back at his life, all he’d done, all he’d touched, all his friends and family. He was mid-30’s, and had lived more than most people I know. I guess I’m saying Sparky is where he is now. The memorial is for you and the people left behind. I hope you can help make that another lesson on how to live life for his friends. Compare this life with one of ‘someday I’ll go do…’. Wealth is thoughts, not things, and it sounds like he was quite wealthy. Keep your memories of him, and share that wealth. This is my greatest fear: not having the time to spend with the people I love. My condolences on the loss of your friend. Be thankful for the time and opportunity to learn from him. May he rest in peace. 1. My condolences to Jaimie at Paid Twice, whose father died unexpectedly last night. 3. I was browsing through Bottom Line Personal this morning, and was stopped by the publishers note, “What I learn at funerals”. I liked the last line, especially: “Every life leaves a lesson — and a legacy for anyone willing to receive it.” Nicely said. My father and I fought a lot before the cancer finally consumed him in 1995, but since his passing, I’ve been able to draw from the lessons of his life. Sparky’s life has already inspired me. Thanks again for the thoughts and prayers, everyone. They mean a lot. Oh no! I never expected that to be the outcome of this post! I’m so sorry to hear about your friend Sparky. :-( I also heard about Paid Twice’s father passing away unexpectedly. :-( Very sad to lose our loved ones! May God’s peace be with those who remain during this difficult time. Sorry for your loss J.D. It is a rare thing to be able to remember a friend so poignantly while going through the shock of sudden loss. Your article is such a fine tribute to the person, as he lived, and as he probably wanted to be remembered. Thank you for sharing him with us, I hope you share with his friends and family how much he is loved. And, for what it’s worth, your readers will forgive you for some time absent from the blog, especially when you have such a compelling reason to be away from ‘work’ for a couple days. The box company wouldn’t have expected you to come in, and I know we wont either. I am so sorry for your loss. We have had a tough year with the loss of some young family members – and it is difficult. However, your tribute and the memories you shared are powerful. Thank you…. I’m sorry for your loss. Your friend sounds like a man with a clear vision of what he wanted in his life and was smart enough and disciplined enough to go after it. one of the best entries on get rich slowly that i have ever read. Thank you J.D. The saddest ending for one of your best posts. I’m sorry to read about the recent and unexpected death of your close friend. He sounds like he was quite a colorful guy. I lost my best friend in 1995, and have been putting one foot in front of the other ever since. Sparky will live on in your heart for the rest of your life. Take care. Odd guy. He obviously had no family. Its difficult to image an empty refrigerator unless there is nobody else around. Did he die alone? I’m so sorry for your loss. It’s moments like these that make you wish for more time, savor the time you have with those you love, and cherish the memories of the times past. My thoughts are with you and in turn, the wisdom that Sparky has shared through you. I’m so sorry about your friend! Sounds like you got amazing gifts from him. Thanks for the reminder that it’s all about the people we care about. Sorry for your loss. Thanks for reminding us of what is really important. My thoughts and prayers are with you and Sparky’s family. It sounds like all who met Sparky were blessed to have known him, and we’re blessed that you’ve shared his wisdom with us. I am so very sorry for your loss. Thank you so much for your inspiration. It sounds like the world has lost a wonderful person. I’m so sorry for your loss. I know on Twitter you mentioned writing a eulogy for him. If you feel it is appropriate, it would be nice to read it on this blog and it would be a good way to honor him further. JD – what a touching tribute to your friend who has given you so much during your time together. He certainly sounds like he was a fantastic friend to you, and very inspiring! His influence has helped yourself and countless others – through your very successful finance blog. I am very sorry for your loss. That was a great post! I think we could hear Sparky’s voice in it. I’d love to see a post that outlined a lil more of what Sparky lived by and how. That is wonderful and I’m so sorry his life is over on this earth but his tale lives on! My condolences! Sparky was clearly a brilliant man; sympathies upon the loss of your friend. Many of us come across this sort of person every day — and to our minds, they’re “bums,” or worse. While many of them are truly destitute, others have chosen this sort of life for the same reasons Sparky must have. Some might imagine the homeless are all alcoholics and drug addicts. It can be difficult to see (through our jealousy, perhaps) that people like Sparky and Tom live rich, free, inspired lives outside the boundaries of what we commonly mistake for luxury and wealth. Oh, I’m so sorry JD. Hope you and Sparky’s family are okay. Sorry for your loss J.D. Your post is a beautiful tribute to your friend. Truly inspirational and poignant. After reading your post, I feel like I now know Sparky a little, too. Thank you so much for sharing this with us. I’m very sorry for your loss. Hang in there. i am doing whatever i can to live my life the way your friend sparky does. Powerful post. I am sorry about your friend (that word does not seem powerful enough for him). Bless you, your fiends and your family. You will still be able to learn from your friend, JD. His memory, his voice, his life will stay with you, always there as a resource to study, to learn from. We teach longer then the classroom, we learn longer then the textbook. Your friend is still with you. I know you will honour him. God’s grace be with you. so sorry about your loss! add me to the many inspired by sparky. I’m just getting to this. My Mom died last week and I’ve been out of the loop for awhile. I’m so sorry to hear about Sparky. My parents were also simple, but frugal. They never traveled the world because they had the farm. But they never wanted to travel. You (and those who have helped you, including Sparky) have helped me in the past few months to make the most of the money I have and not to fritter it away after I got out of debt. I’m getting a good size inheritance, but I already know what to do with some of it (buy a replacement car, set aside another 3 months worth in emergency fund, start contributing to IRA again). You guys have helped with that, too, so that part isn’t so overwhelming. I’m overwhelmed enough. And it feels so good NOT TO HAVE TO PAY OFF DEBT WITH THE MONEY! Thanks JD, take good care of yourself and plan a kicka$$ sendoff for Sparky. I’m so sorry for loss. . . Sparky is truly inspirational, and he will truly be missed. Thank you for sharing your friendship with us. The first memorial service for Sparky was last night. When I got up to speak, and turned around to face the room, I was stunned by how many people were there. Listening to the other speakers, and talking to other people afterwards, I was amazed to find that Sparky affected their lives as much as he affected mine. He had a profound influence on other people. Sorry for your loss, JD – Sparky sounds one-of-a-kind. I’m so sorry about the passing of your friend Sparky. These comments made me cry just about more than anything I’ve read the past week. I’ve been reading some of Sparky’s entries. I had no idea. . .
Sparky. May his soul rest in peace. Liked this post very much. Enjoy life….live life…give Live. That was a great post. Sorry to hear about Sparky but did live life! This was my introdction to your work. While I am truly sorry for your loss, I am happier than you had the gift of Sparky in your life. Sparky was a true ‘teacher’ in every sense of the word. Rejoice in his life and may all your memories of him be good ones. This was a great tribute to your friend and what he stood for. I think even those of us who will never truly be nomads like he was can get inspiration to simplify our lives and enhance our freedom! Wow, as others have mentioned, not quite the ending I expected to this incredible post. So very sorry about your loss! Just wanted to say I am sorry for your loss! I am a relatively new reader of your site and it is impacting my family and I in great ways! Just reading this post I feel that I owe your friend Sparky a word of thanks as well. His impact on you will leave an impact on thousands of others through the knowledge you have gained from him and freely pass along. I could only hope to leave that kind of legacy when I have come to the end of my path. Our thoughts and prayers are with you and his friends and family as you deal with his loss. I somehow missed this post in my reader. Good that I found it by chance again. This is maybe one of the best posts you’ve ever written here. I believe it’s because you felt every word in it. I hope that your memories of your friend Sparky will inspire you in the years to come. Hearfelt condolences to you and everyone who knew and loved Sparky. This story really touched me. But I believe you will continue to learn from Sparky — just not in the normal sense. I’m glad you got to experience such a profound friendship for 25 years — that is true wealth. I’m sorry to hear about your friend. My condolences. From your pain, you wrote a fantastic post that was very insightful and I especially appreciate that you loved Sparky for who he was and learned from what he was. That’s what makes the world such an interesting place when you consider the variety of people and how they each can contribute something of value to each of us. I’m late reading this. I’m very sorry to hear of your loss. He sounds like he was a very special person. You honor him deeply by sharing his wisdom with your readers and by remembering him so fondly. I’m very sorry for your loss. It sounds as if Sparky was a true friend, and a profound influence. My deepest condolences. I’m sorry to hear of your loss. I hope that you remember to focus on what you gave each other throughout your friendship rather than what you will no longer be able to experience with him. i think you must have experienced in these past three years how very much you are continuing to learn from your friend. come to think of it, that is a whole other kind of debt to be in, and one that I am sure you don’t want to get out of. thank you for letting us in and telling us about this. I would do so many things so differently if I had the chance to live my life over but wishing for something that is not possible and living in regret are emotional millstones that must be moved beyond with an eye instead to a different kind of future, one that works for me and mine. There are still many possibilities and many options. Your friend Sparky was a determined and thoughtful character. Great post and tribute to your friend. I’m very sorry for your loss. Amazing that something written three years ago can still resonate today. Thank you for sharing this amazing story. Your friend lives on through all the people you inspire to improve their lives. I’m one of them. I hadn’t read this post before and it left quite an impression on me! First off, belated condolences to you for your loss! Sparky clearly played an important role in your life and he had a lasting impact. He can certainly teach us the importance of enjoying life on your own terms and not placing much emphasis on material things. However, it makes me wonder if I place too much emphasis on saving now with the idea that sacrifices made now will provide me a more comfortable future. Hearing stories like Sparky’s makes we wonder whether I should focus a bit less on the future and more on the now in case I don’t have the good fortune to be around long in this life. I guess it is all about balance. Your post here indicates you thought Sparky was happy and living his life the way he wanted, but you mentioned he took his own life. I wonder what drove him to do that when he worked so hard to save for the future. I get upset when I hear about someone taking their own life, perhaps because I know a number of people who have done the same, and that thought wasn’t always so far from my mind in my earlier years. I am obviously feeling a little introspective and conflicted from hearing this story. Anyway, thanks for sharing and sorry again for your loss.